It’s ridiculous you have to buy it, this story should have passed on to the public domain by now. I don’t know why you think Beatrix Potter would have liked Digital Readers? Because they are different? Digital Readers are not targeted at kids. This example of hers is far more like the Pat The Bunny books. I really don’t see any connection to digital readers?!?!? Actually, it is in the public domain. That means that anybody, anywhere can publish and sell it in any format. It also means that one of those re-publishing it can be (and is) Project Gutenberg…. The public domain is of immense value. Look how money Disney makes off of it! Help the public domain today! Chip away at the rights of eternal entities and public domain extensions! One is a creative, cute, and artistic medium. The other is an industrialized, stale, virtual medium. You do not HAVE to buy copied of Potter’s work. However, when someone takes a public domain work and re-issues it, they are allowed to charge for it. If you go into a brick-and-morter bookseller and see a Potter book for, say, $10 then would you say “it should be free!”? Public domain does not mean that it HAS TO be given away, it simply means that someone CAN give it away if they want and not have to worry about lawsuits. Note too, that if someone scans and cleans up an image, then their artistic efforts to do so may be covered by copyright laws too. Sorry, what does this have to do with the Kindle again? Does the Kindle unfold in a similar manner? Beatrix Potter is the first author I’ve come across who actually was okay with a non-book format — and more than a century ago. I saw a comment on another site which explained it pretty well. “It’s not so much that Beatrix Potter was pining away for the day when you could have a book that changed what its only page looked like rather than having to flip pages. It’s that she conceived of another way of presenting the story other than the conventional book form, and that shows she was more likely to embrace other non-conventional forms. To belabor the point a bit, it might be worth noting that the form she chose is at least marginally more portable and multifunctional to boot. Nice story, but since the author seems to see connections where there are none. Claiming that “Beatrix Potter would approve” of a childrens story on a kindle is a bit far fetched. Sure the original was a “non-book format”, but it is simply a type of book for small children. The format is alive and thriving to this day, you can get some of those cloth-books for babies in this format. Nothing you need an expensive reader gizmo for. Secondly, this is a story for small children, who can have an amazing talent for trashing stuff given to them. You want to give them sturdy and/or cheap toys, neither of which the kindle is. At last but not least, Beatrix Potter probably wanted to make a living with those storys. Having the copyright run out is not really something the author was looking forward too. Those fairy tales are old childrens stories. Reading about them brings warm feelings to anybody who read them in his or her youth. But those stories are fairly dated. Rad them yourself, but give your child a recent book, which more relates to world and society around it. Beatrix Potter would laugh at the Kindle. A single black and white object that a parent wouldn’t even allow a child to read by him or herself. The long format book was so that a child could see the whole narrative arrayed out at once. This format was used in Japan before modern book binding became popular. You can find some blank books in gift stores now and again. What a bunch of sour-natured haters there are commenting here. Ms. Potter obviously had a penchant for novel ideas; the Kindle is just that. The author’s musings here are credible, to me. I love your post — I am actually on route to Beatrix Potter’s home next week on a trip to the UK and just put the complete illustrated BP on my Kindle :-) so your post made me (and my British boyfriend) smile. I cannot say how Beatrix Potter would have reacted to her books being available on Kindle. 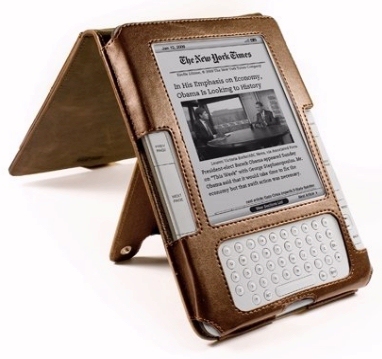 I think it is a wonderful device and would certainly use it to read my favorite books. However I would be very sad to see the demise of the wonderful little books that presently contain the Tales of Beatrix Potter. I love them and will treasure mine forever.